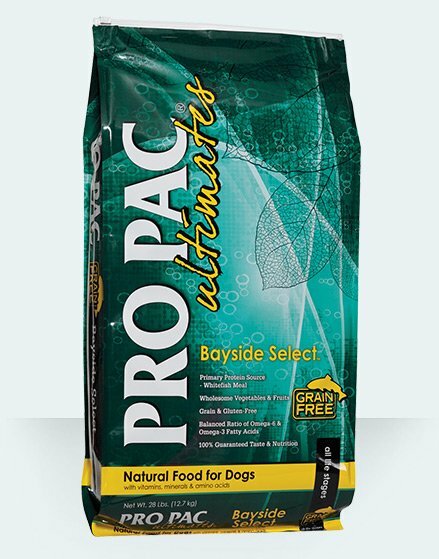 PRO PAC® Ultimates™ Bayside Select™ is nutritionally balanced and fortified with proper levels of Omega-6 and Omega-3 fatty acids to help support a healthy skin and hair coat. Fortification with L-Carnitine helps burn fat and maintain lean muscle mass to support a healthy, active lifestyle. PRO PAC® Ultimates™ is fortified with chelated minerals to allow for higher absorption helping digestion, immune function and healthy skin and hair coat.